Blogs from the bank: Carp and Coarse fishing: A mixed bag! Since writing last, I have ventured out onto the bank for a few sessions, some hoping to break my silence on Fordwich, a quick overnighter at Stonar Lake and a few quick trips at Minster and Trenley to practice for the Maggotdrowner's Southern Champions Match at Tricklebrook which I fished today. 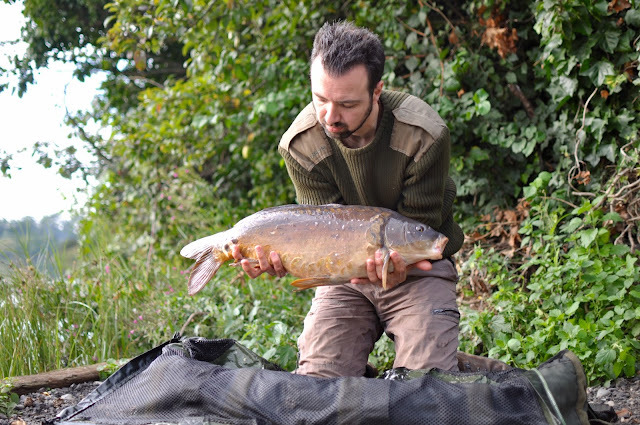 In spite of being fortunate enough to have the summer off work, I only made it down to Fordwich for three sessions and as far as carp are concerned, they were all blanks. On the third trip I decided to take some maggots with me to instigate some entertainment. The result was a nice net of roach - I only started retaining these in the last hour of the trip so I am quite pleased with this net. I will return to Fordwich in pursuit of carp again this autumn, work permitting, before my attention turns to the pike and perch. At the beginning of September, after a bit of encouragement from a friend, I went to Stonar for a quick overnight session. 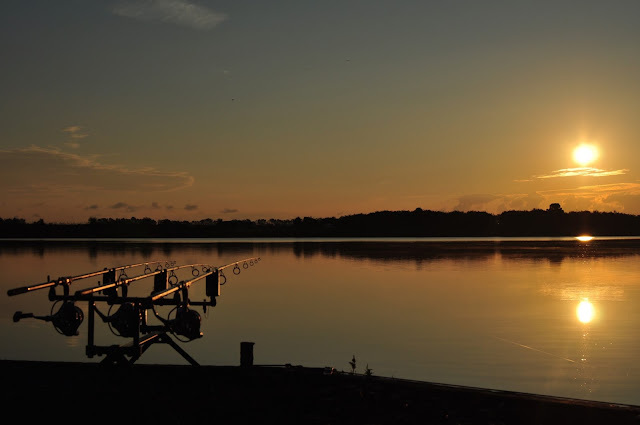 I was fortunate to get on the swim known as 'Sheds' which is something of a hotspot partly due to it being the last peg before a large section of the lake which is closed to fishing. No fish came my way through the night but I had three in the space of an hour in the morning of which these two were the best. Todays match at Tricklebrook will be, I'm sure, my final trip in September but it was a great day! As chance would have it, I drew the same peg I fished last year. That was my first ever match and I came 4th, so drawing a familiar swim gave me a bit of confidence. I got off to an excellent start, landing 8 fish in the first hour on the pellet feeder. 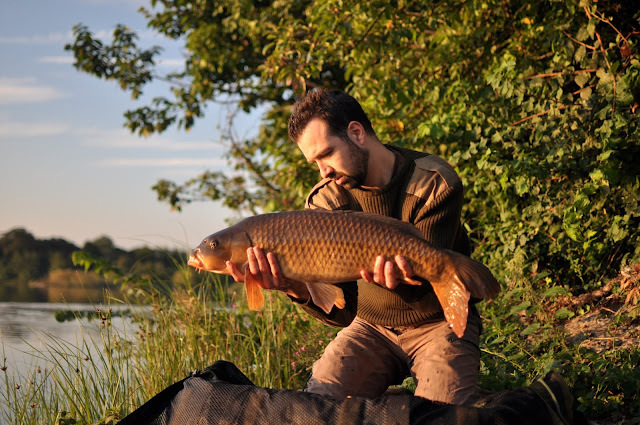 There was then a bit of a lull which I overcame by changing my hook bait to a trio of red maggots. However, as the clock turned 12, the bites turned off. For the next two hours I hardly had a twitch. The bites that were strike-able resulted in short-lived battles ending in hook-pulls. I decided to change my hook every time I caught a fish because I feared the losses had been due to the fine wire hooks blunting easily. This paid off! Thereafter, every bite resulted in carp in the sack. At the weigh-in my net turned the scales to 35lb 12oz meaning I won the carp section! The person who came second for carp had also produced a decent enough bag of roach to bring his total weight to 36lb meaning he won overall - a pleasure I missed out on by just 4oz!!! I am overjoyed with this result and had a great day with some top guys. My only disappointment is the photos really didn't turn out well at all. So all in all, the end of the summer has provided a variety of experiences, all of which have been enjoyable, some educational and Fordwich, for now is just baffling!